David had been there before and he knew exactly where he wanted stage this. “We’re going to dig a hole,” he told her, “and I’m going to lie down.” They began digging without saying word, a hole for his upper body and a bit for his legs. They used their hands. The dirt was loose and dry. He lay down and closed his eyes. 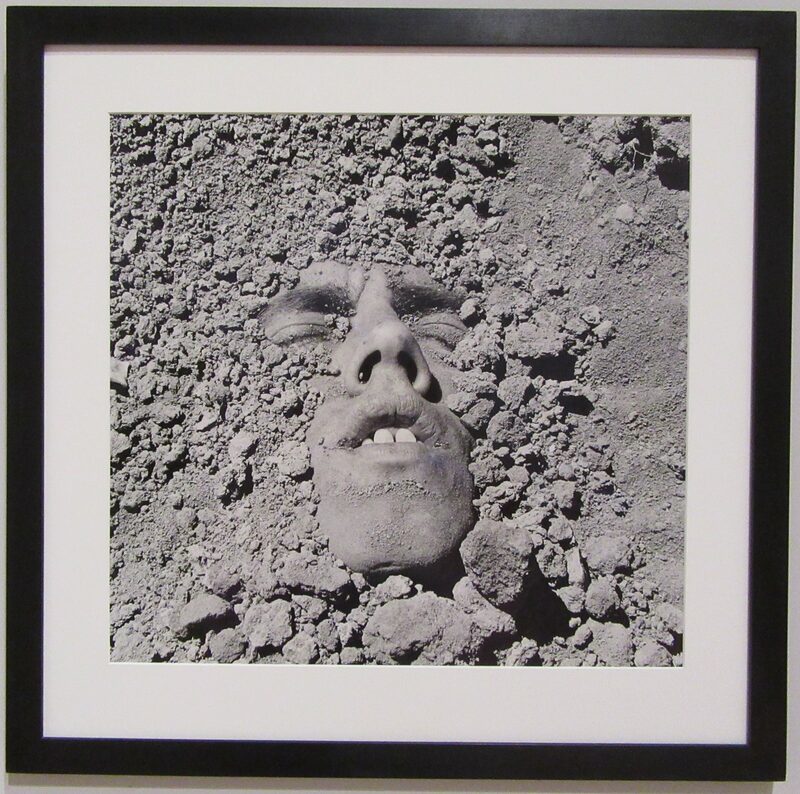 Marion put dirt around his face until it was halfway up his cheeks and then stood over him, photographing his half-buried face first with his camera and then with hers. This image was also licensed for use as the cover art for the soundtrack recording of the 1995 film, Postcards From America. Photographed as Part of the Exhibit History Keeps Me Awake at Night, on View Through September 30th, 2018 at the Whitney Museum in NYC.